Hello. 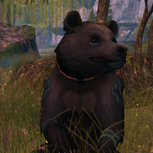 I am looking for someone who can make a custom skin for the well know TWI Timber Wolf Avatar. I have picture references of my own dog to serve as a reference. Someone who has experience making custom skins/coats/mods for this pre-established avatar would be greatly appreciated. I can pay in lindens once we set up a game plan, and I am open to offers. Please contact me in-world. Thanks. Hey there! I'm returning to SL and wish to return to a "feral" av. Before I decide which I am seeking some possible roleplay roles that are beyond just a family pet. A police dog/horse, a hunting half-wolf, a trained circus tiger, a dragon mount or even a animal inspired robot are all possibilities and more! I will provide the the av and some attachments / accessories. I'm really torn between avs so I was just seeing what sort of opportunities are out there. TWI has wolves, foxes, bears, eagles/falcons, little robot things, and big cats. Red remora has wolf/dog pups, foxes and fennec foxes. Seawolf (although a little dated at this point) offers dragons, gryphons and mesh wyverns. Teegle makes fantastic bento horse avis. I'm open to other suggestions other than these if you want something specific. I've explored many other options myself and my current avatars include an older sculpt style phoenix, a horsefly avatar from breeder's choice and a ferret also from a BC gacha. Hit me up here or inworld to chat!